Home is where you make it. Now, many transferring employees and families can enjoy our tastefully furnished corporate suites. Providing all the comforts of home and then some. Our one and two bedroom suites offer a spacious, cost effective alternative for temporary housing. 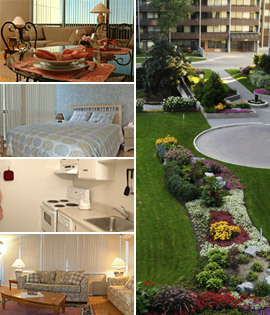 Burlington Towers offers the best of both worlds - the convenience of a hotel and the warmth and security of an apartment home, .